After the 208 next comes the 2008. Peugeot’s stunning new compact crossover – making its world debut in road-ready production trim – builds on the success of the popular supermini and will undoubtedly be one of the stars of the 2013 Geneva Motor Show. With its perfect mix of contemporary styling, clean and efficient engines, plus a versatile cabin, it’s an exciting addition to the Brand’s already comprehensive line-up. The 2008 is the latest expression of Peugeot’s renewed brand positioning on its move up market and clearly visible in the 208. The 2008 signals the Marque’s arrival in a highly competitive sector, pushing customers’ expectations to a new level. The car oozes desirability, with an athletic design, engaging driving experience, high levels of comfort and equipment, and outstanding quality in materials and finish. Further enhancing Peugeot’s strategy of enhancing its crossover range to attract new customers, the 2008 is a truly global car. It addresses the increasing demands of customers around the world and is the first vehicle produced by the Marque which has been designed, developed and engineered simultaneously by employees based in Europe, China and Latin America. Vehicles for Europe will be produced in the factory in Mulhouse, France. The 2008 brings a new level of innovation to the B-segment by combining the expertise and experience of two acclaimed Peugeot vehicles; as a compact crossover, it blends the success and design of the award-winning 3008 with all the features, performance and state-of-the-art engines of the new 208 supermini. With a characterful on-the-road presence, the 2008 is intended for young city-dwellers who love the urban environment but also enjoy escaping from it at every opportunity. In keeping with the dynamism of its profiled silhouette, power comes from the latest generation of low fuel consumption Peugeot engines. 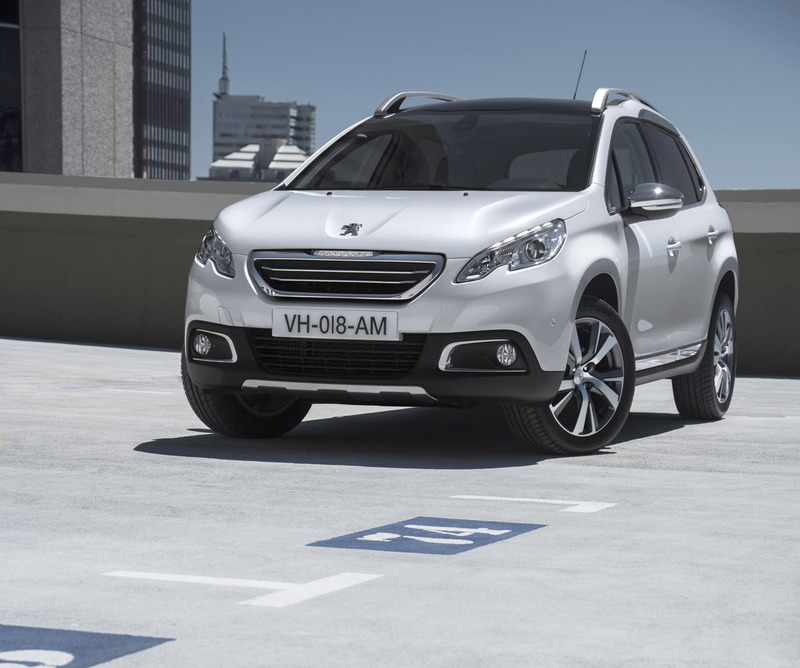 With e-HDi diesel and three-cylinder petrol technology, Peugeot's urban crossover stands out from the competition due to CO2 emissions starting at just 98g/km. Fuel economy can be as high as 61.8mpg. “Creating the 2008 was a great challenge but we had a very precise idea of the vehicle that we wanted to offer customers. The style brought to life in an early phase did not require any major modifications up until production. The very first sketch was perfect”, says Eric Dejou, 2008 Design Manager. Measuring 4.16 metres long and 1.74 metres wide, the Peugeot 2008 brings together the robustness of an SUV with the practicality of space, comfort and modularity displayed so successfully in the Marque’s existing passenger cars. The goal for the design and engineering team was to combine Peugeot’s strong reputation for styling flair with a unique driving experience while offering desirable user benefits. The result is a car that’s equally at home in town or on the open road. The 2008 puts a new twist on the existing Peugeot family face, as seen on the 208. The floating grille is cut from a solid block and set upright to create a powerful and dominant design cue. The sculpted headlamps with LED daytime running lights blend seamlessly into the nose. From the side, the car presents a dynamic yet elegant profile enhanced by the roof bars which hint at the car’s practicality and versatility. At the rear, the wide tailgate and low loading lip – just 60cm off the ground – mean exceptional ease of use. Complimentary to the appeal of its elevated driving position, 2008 has many other attractive features; stylish matt-finished alloy wheels, black bumpers and body sills, stainless steel front and rear scuff-plates and chromed side mouldings are the perfect blend of practicality and style. 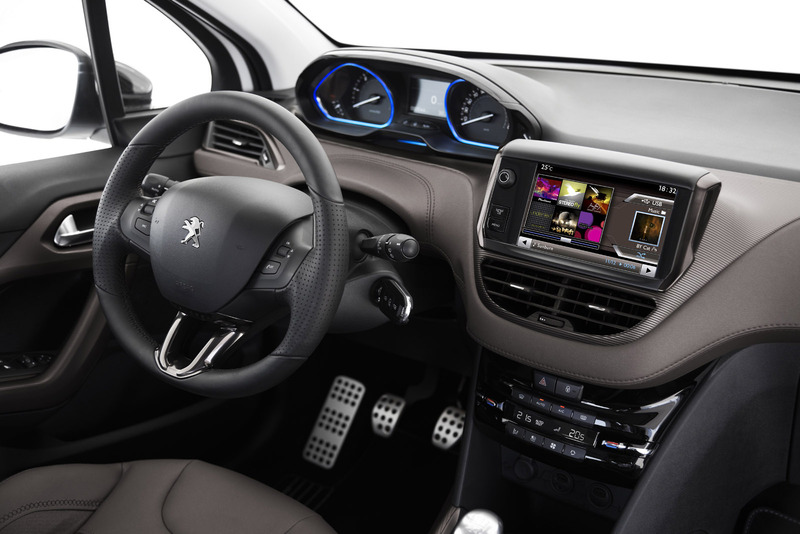 The interior of the Peugeot 2008 provides the driver and passengers with a spacious and flexible cabin, with a cockpit-style instrument panel and aircraft-type handbrake. A smart satin chrome finish to the air vents, handbrake lever, steering wheel, gear lever and touch-screen trims all add to the level of luxury and create a genuinely premium feel. The wheelbase of 2.54 metres means generous space for every occupant of the 2008, while the ergonomically thinner seat backs mean it’s particularly roomy for rear passengers, who also benefit from a 12v power socket for the connection of a portable device and can even access the boot when the vehicle is moving. The boot is exceptionally spacious considering the car’s compact dimensions. The floor comes with five recessed rails which run from the sill to the front seat backs. Six chromed hooks allow items to be secured safely. There is a storage area on each side, with a retaining strap and net. 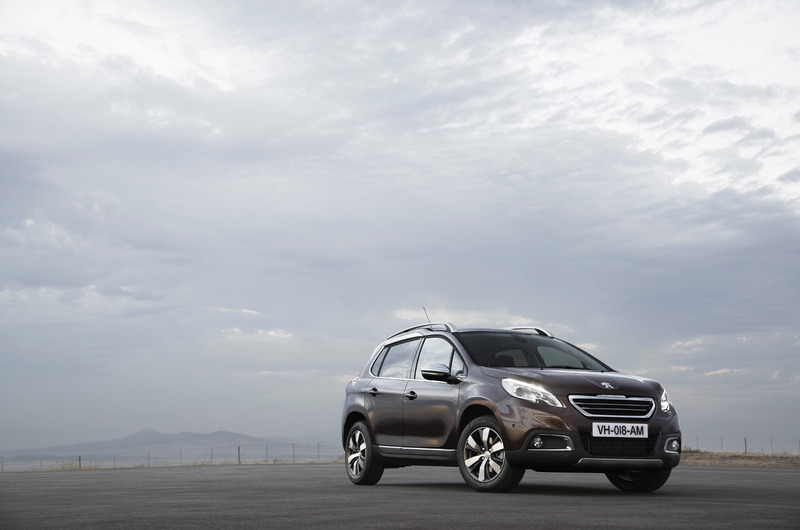 A new Grip Control system, first seen on the 3008, builds on Peugeot’s crossover experience and is available on 2008. 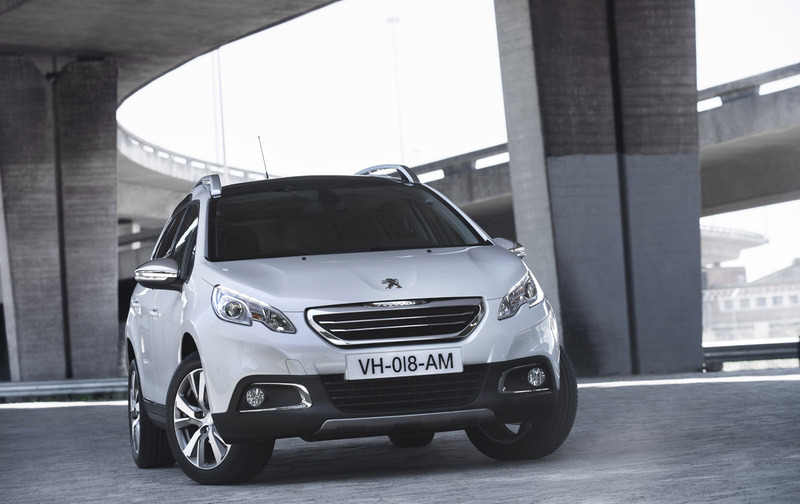 Due to the international success of the 3008, Peugeot has extensive expertise in the Crossover sector. Drawing on this has enhanced development of the 2008 which sets a new standard for on-road handling in the segment. It is the first crossover to offer the precision driving characteristics of a hatchback. One of the key benefits is Grip Control, an advanced new technology which has been patented by the PSA Group and optimises traction in low-grip conditions. It adapts to the terrain by acting on the front wheels, using the electronic components already present on the vehicle. 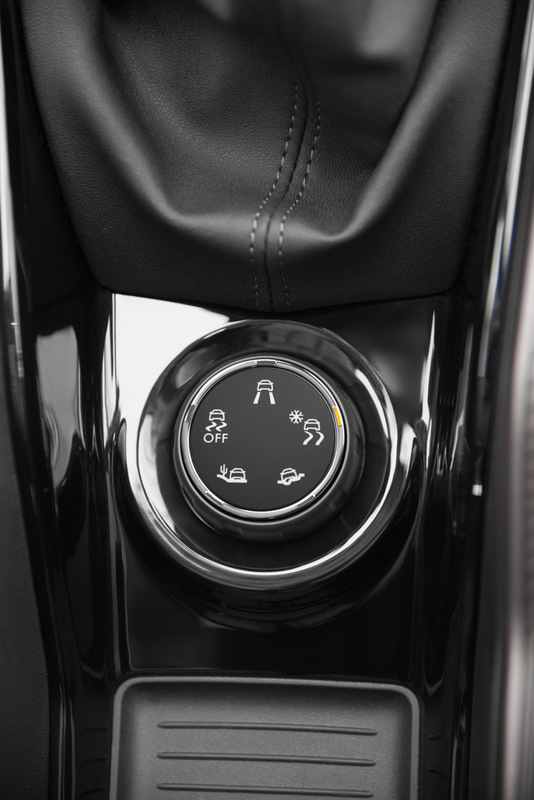 The driver remains in control and can decide at any time to move from Standard mode using the dial located on the centre console, choosing instead Snow, Off-Road, Sand or ESP Off. Park Assist is also available on the 2008 to make parking easier for drivers, which uses ultrasound to measure an empty space then controls the steering to position the vehicle perfectly. The driver manages the vehicle’s progress: its movement, brakes, gears and clutch, leaving the difficulty of manoeuvring the car into a space is made by the Park Assist system. Safety, as you would expect, on the 2008 is at the highest level. The large seven-inch touch screen is at the driver’s fingertips and by minimising commands for control of the infotainment system it allows the driver to keep his eyes on the road ahead. Cruise control with speed limiter is standard on all versions, as are six airbags – two front, two side, two curtain. Also on every 2008 is ESP with Anti-Skid Regulation (ASR), Stability Control (CDS), Emergency Braking Assistance (EBA) and Electronic Brake Force Distribution (EBFD), as is Isofix mountings for child seats in the rear. The expertise and innovation of the PSA Group – as seen with Stop&Start petrol engines, e-HDi diesels, and advanced three-cylinder technology – means the 2008 sets new standards for combining driving pleasure with environmental awareness. The 2008 is available with a range of fuel efficient engines, with fuel economy as high as 61.8mpg and CO2 as low as 98g/km. In the months following its launch, the 2008’s engine range will be extended further with versions of the turbocharged three-cylinder petrol engine, with two power outputs available: 1.2-litre e-THP 110 and 1.2-litre e-THP 130. 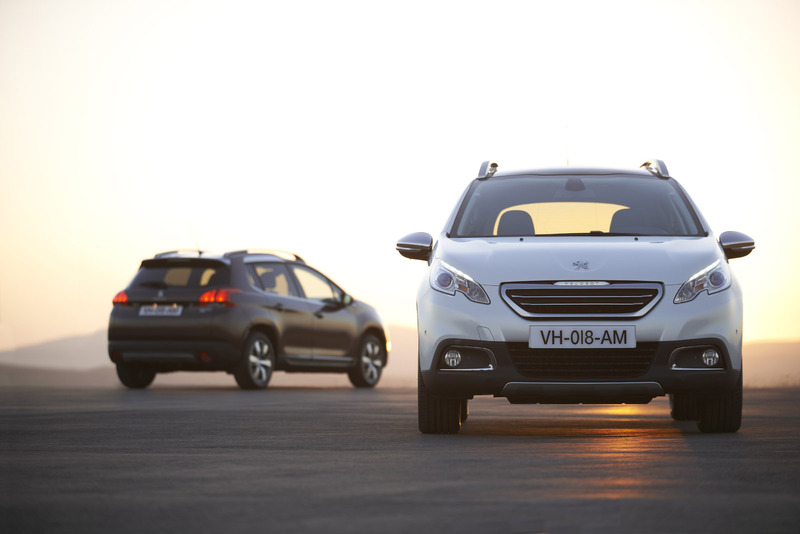 The 2008 will be available with Peugeot Connect Apps, allowing the driver to travel with complete autonomy and freedom in his environment. Apps will include traffic and parking information, tourist attractions and weather updates. The information will be provided at two levels. The first, when the vehicle is stationary, permits full access to all the functions. The second is activated automatically when the vehicle is moving and limits access to the functions. Certain applications can only be used when the vehicle is stationary. A range of accessories gives 2008 owners the choice of styling the exterior and interior of their car in a more personalised way. The range is inspired by the theme of the 2008 Concept. High quality decals feature black stripes contrasting with flashes of contemporary colours such as yellow, pink and orange. Body sills, roof bars, front grille, mirror casings, rear door decoration, vents, centre console, instrument panel visor and wheel centres – all can be enhanced through the accessory programme. Different alloy wheels in 15”, 16” and 17” are also available, plus a range of transportation solutions, which include a towbar which can be removed without tools, plus secure roof bars to accommodate a bicycle carrier, ski carrier or roof box. In conclusion, 2008 is an attractive proposition incorporating many product virtues, a higher driving position, and the latest-generation engines. These draw on the benefits provided by the lightness and profiled silhouette to offer an exceptional driving experience, combined with a real breakthrough in performance and fuel economy. Due to the technology of the e-HDi diesel and new 3-cylinder petrol engines, the 2008 Urban Crossover stands out from the competition with CO2 starting from just 98g/km.